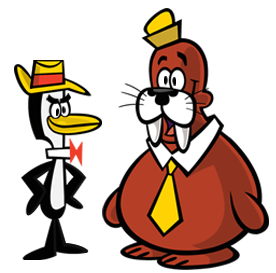 We produced the very first animated short in fifty years starring the characters Tennessee Tuxedo and Chumley in Be Like Baldy. The short was made for The Silly Channel, a content channel we created for the Trix brand. Partnering with DreamWorks Animation, we redesigned the cast of the original series with love and reverence for the source material. Baldy, Yakkety Yak, Professor Whooppee, Commander McBragg, Mister Livingston, and Flunky were also brought back to life. We dug into Tennessee’s real goals in life and discovered that he really wanted to fly. Of course, Tennessee learns to fly the hard way. Created as a web-series in 5 chapters, we’ve combined 3 chapters below.